The SAWTOOTH BUILDING, also known as the Kawneer Building, is a West Berkeley industrial building that is home to a variety of small buinesses - including artisans, craftspeople, tradespeople, engineers, consultants, designers, fine artists, small industries, performance groups, theathers and a variety of schools. The SAWTOOTH BUILDING is a important Berkeley cultural center where the pubic comes to learn, to enjoy performances and to tour the many studios. Check out our Open Studios / Events section. The SAWTOOTH BUILDING, first built in 1913 as the Kawneer Building, is a Berkeley Historic Landmark. It spans the whole block of 8th St. between Dwight Way and Parker Streets and is easily recognized by it's roof line of twenty sawtoothed banks of sky lights. The SAWTOOTH BUILDING has had a noteworthy history. Visit the Berkeley Architectural Heritage Association, (BAHA), website for an in-depth Kawneer Building history. Sue Fox Quilts, Silk & Salvage, & The 12x12 Challenge at TDS. Studio #14 - M & X Inc. Studio #28 - DaSilva Ukulele Co. Many of the Sawtooth Studios participate in the 2 annual local Open Studio Events. 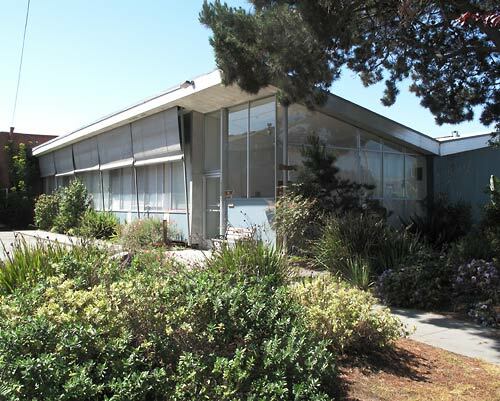 PROARTS East Bay Open Studios occurs 2 weekends each June. The Berkeley Artisans Holiday Open Studios occurs the 4 weekends between the Thanksgiving and Christmas holidays each year. Support you local Artists, Artisans and Craftspeople. Come to the participating Sawtooth Building Studios.